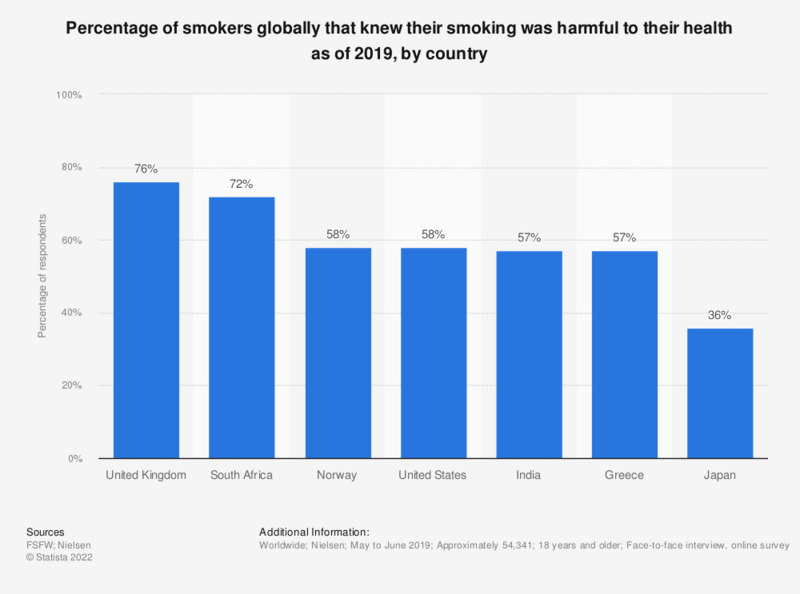 This statistic displays the percentage of smokers globally that knew that smoking was harmful to their health as of 2017, by country. According to the data, at that time just 69 percent of respondents in India knew that smoking was harmful to their health. Original question: "To what extend do you agree or disagree with the following statements?... Your smoking is harmful for your health." Which of the following statements, if any, do you think apply to slim cigarettes?